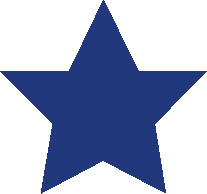 Watch our compelling video about Kids In Need in Anne Arundel County. 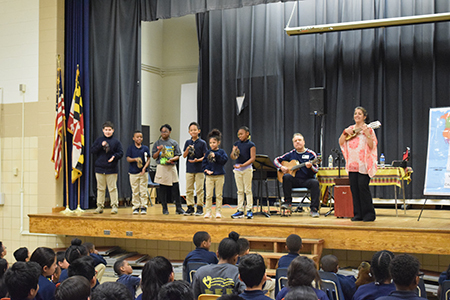 Learn more about how our programs transforms lives in Anne Arundel County. 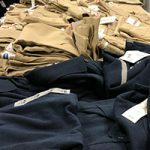 Operation School Bell provides appropriate assistance to children in need, with the goals of promoting learning, enhancing self-esteem, and encouraging regular school attendance. 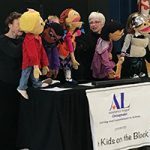 Kids on the Block explores the issues of disability, cultural differences, bullying, and other social problems through the use of life-size puppets. 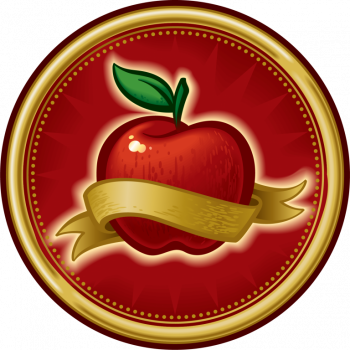 By using special targeted scripts, volunteers help children understand and accept individual differences in each other, as well as learn valuable interpersonal skills. 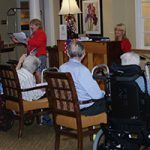 The Sing-Along program takes familiar music to seniors in assisted living residences and nursing homes. 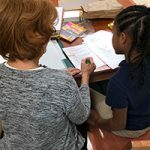 These two programs provide new uniforms, emergency clothing, books, guest readers, tutors, and enrichment opportunities to schoolchildren in Anne Arundel County School. 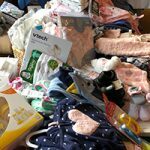 Through this program, members of the Assistance League of the Chesapeake contribute items for expectant mothers to the Stork’s Nest redemption store at the Baltimore-Washington Medical Center. This initiative is part of the Center’s prenatal health-incentives program for underserved women. books distributed to students at local elementary schools. 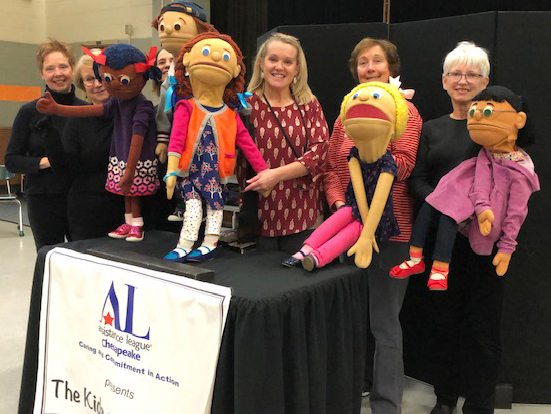 students served at Kids On The Block puppet shows teaching lessons on bullying and learning differences. 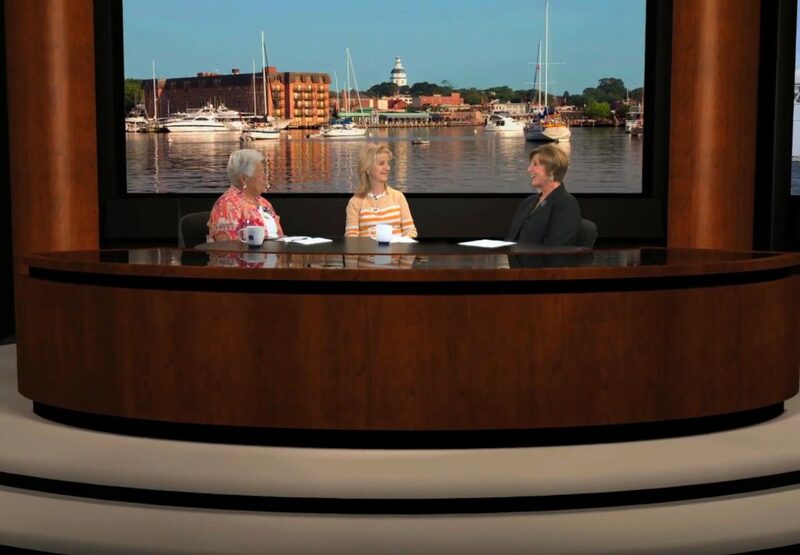 The Anne Arundel County Public Schools Parent Connection show featured our chapter president, Lyn Hopkins, and Kids In Need chair, Marie Bossie. View the video here: https://www.youtube.com/watch?v=yIXEM1Bt1bc&feature=youtu.be In the video, Lyn and Marie talk about our programs in the community with host Teresa Tudor. 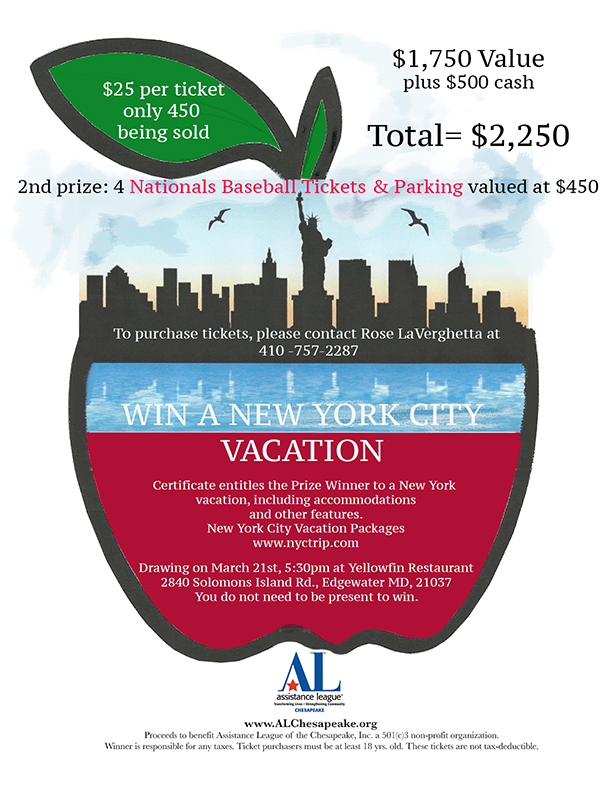 Win a New York City Vacation — New Third Prize Announced! 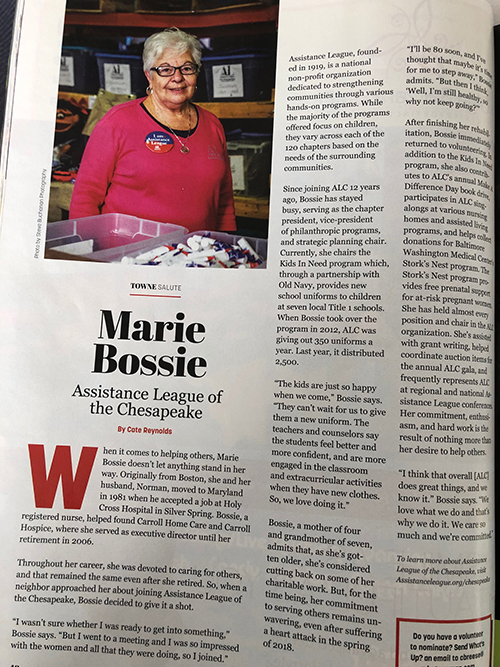 Assistance League of the Chesapeake is an all volunteer, nonprofit organization that transforms lives and strengthens community through philanthropic programs in Anne Arundel County.